We know you love to read our monthly tarotscopes here at Wishing Moon. 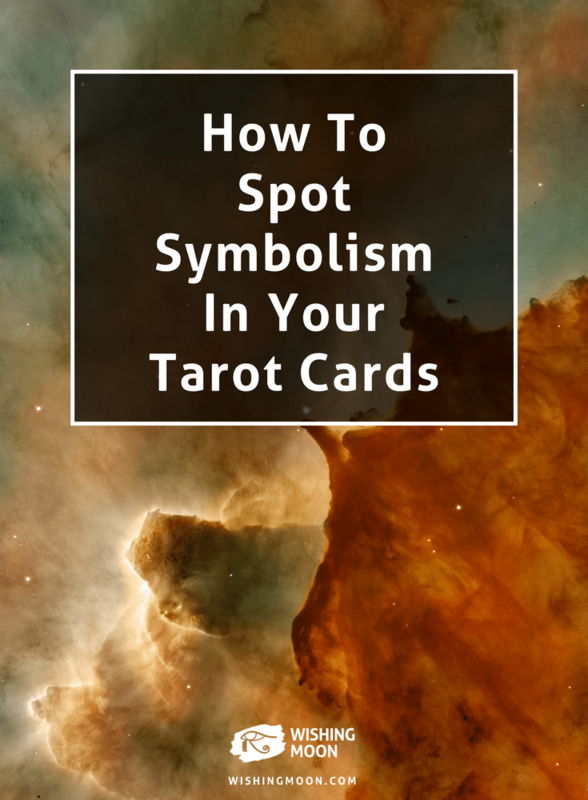 But have you ever wanted to know more about the symbolism in tarot? It’s something that we often think about when we’re doing our own tarot readings and we thought it would be a good idea to share some of the interpretations with you all. 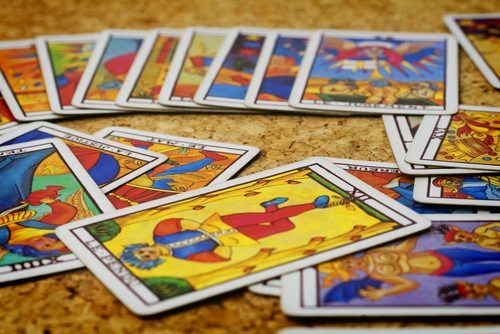 When we talk about collective wisdom in tarot, we mean commonly held beliefs and associations relating to symbols that have been passed down over time through tradition. You can use collective wisdom associations when you’re doing your own tarot readings to try and gain deeper meaning through your cards. There are many collective wisdom symbols that you’ll probably already be aware of. For example, a circle is a collective symbol of eternal life, the universe and cycles. And a castle is a symbol of safety, boundaries and security. Each different tarot card can be interpreted differently depending on the image. A few different cards have castle imagery for example. In The Tower card the castle (or tower) is crumbling or sometimes in flames. This could be interpreted to mean that you’re feeling a little insecure and vulnerable at the minute. Alternatively, it could mean that the boundaries you put up with people are tumbling down. Some tarot readers prefer to use collective wisdom symbols for interpretation but you can also use personal wisdom. Personal wisdom is individual associations we make that are formed through our own personal experiences. It’s a good idea to use a mix of both personal and collective wisdom associations when interpreting your tarot cards but it’s really up to you! For example, according to collective wisdom, a circle represents eternal life. But you might have your own personal association that has formed due to past experiences. You may see a circle and immediately think of football because it’s personal to you. Others might imagine cake. It’s all down to the individual. Whether you see a circle and feel a sense of camaraderie and community due to the thought of football, or you start thinking about wants and desires because you see cake – there is no wrong answer! When doing your next tarot card reading, try and look deeper by applying either personal or collective wisdom to your cards. You can also connect your wisdom with the actual meaning of the cards. For example, by drawing The Tower card (which means revelation and upheaval) you can look at the crumbling tower and apply the collective wisdom. This could mean you’re ready to let your guard down and start a new relationship. Or maybe you’re feeling insecure about starting a new job? You see how it works? We love how deep you can go with the symbolism in tarot and how the interpretation is different for everyone. Give it a go at your next reading.